Cantilever canopy nestles into traditional surroundings. 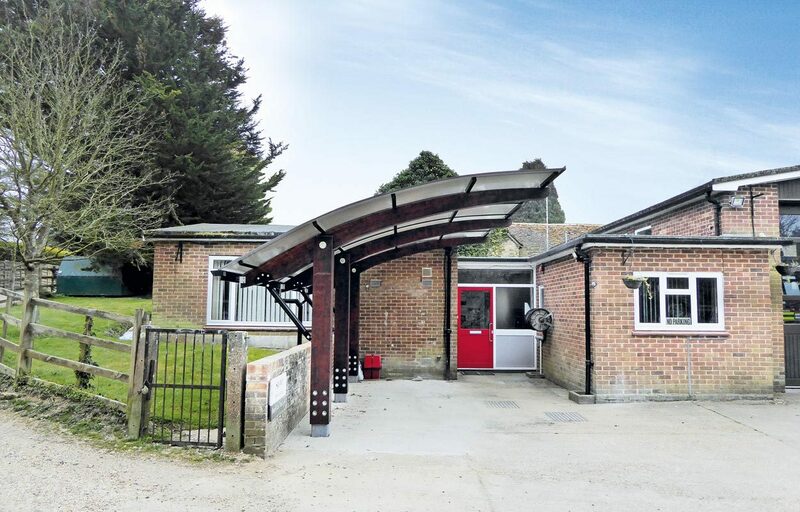 A structural glulaminated timber canopy fits within its surrounding context to provide cover for transport at Beaulieu Fire Station in Hampshire. 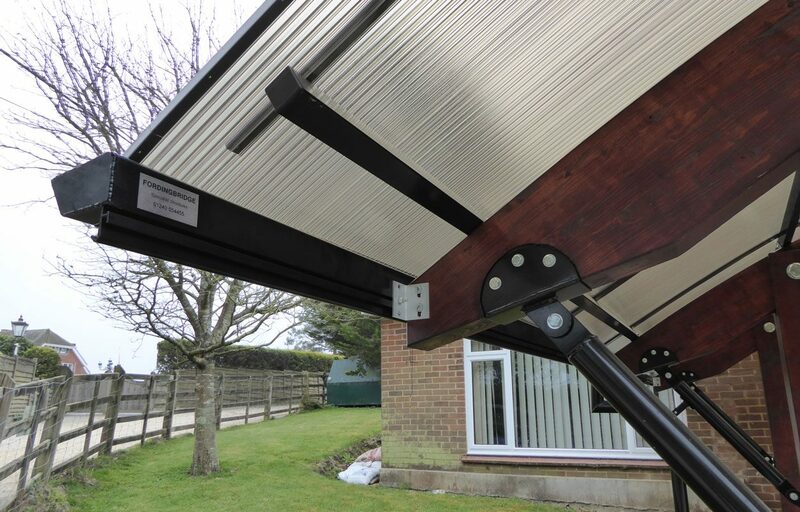 The cantilever design, completed by a bronze polycarbonate solution and polyester powder coated black (RAL 9005) gutters and downpipes, nestles perfectly into its historic context. 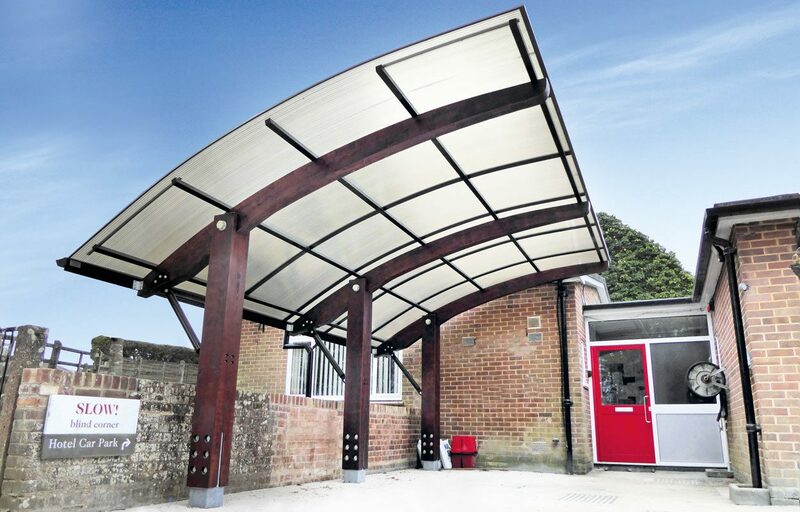 The 3.5m x 5.8m canopy was finished in a Rosewood Satin paint. Fordingbridge has a number of available colours for their timber structures. To arrange your free, no obligation site visit please contact us now. Colour: Rosewood Satin. Our timber structures are available in a variety of colours.